How do I contact Tourissimo? You can contact Tourissimo by filling out the forms on the website. You can also call us in the US at +1 (857) 997-0051 and in Europe at +39 (339) 333-7877. We don't print any brochures because we are trying to be as paperless as we can, and because we often update information on the website that would make a printed brochure obsolete. 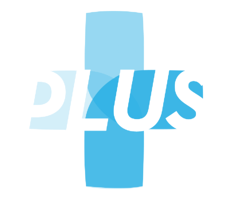 Bookmark the Plus Tour webpage and come back to check out new tours and dates, and any changes to the tour programs. How do I book a Plus Tour? You simply click the Book now button and tell us how many people you are booking for and the tour of your choice. Go to the How to book page. Where do I find the tour price? The tour price is indicated on the tour page under More info and Cost (USD). Let us know if you wish to pay in Euro. You will receive a confirmation email from us with a link to pay a 20% deposit. The deposit can be paid online via credit card (Tourissimo does not see or store credit card info), by bank wire transfer, and by check. Balance due 90 days prior to departure. 90 days before your scheduled departure, you will be reminded to pay the balance. If you book within 90 days under departure, you shall pay in full. Do I have to share a room if I travel solo? You can travel solo of course and there is no need to share a room. Tours are priced for double occupancy, and to have a private room it is customary to pay a surcharge. How much is a private room surcharge? You will find the amount in the Other Info and Cost section of each tour webpage. Can you find me someone willing to share a room? We charge more to individual travelers who wish to ensure that they have private rooms throughout a Plus Tour. If you notify us at the time of booking that you are willing to share a room, we will try our best to fulfill this request. In event that we are unable find a roommate though the guest will be liable to pay the private room charge. Hotels on Plus tour programs are 3 and 4 star. Hotel standards can vary from region to region and in certain areas there are just not many hotels to choose from. Each one is hand picked and inspected every year. We've built great relationships with them so that they can make our guests feel welcomed and at ease. What's included in the cost of a tour? Please refer to our What's Included page. Can we choose our own dates? Contact us if your group of minimum 6 is interested in custom dates. Plus Tours will have a maximum of 16 guests. We confirmed Plus Tours once 6 travelers have committed. You can book as soon as you see tour dates online. Typically, travelers book 6 to 12 months before departure. That will give them plenty of time to get organized and to shop for the best airfares. You can book a tour as late as 30 days before, if there is room available. Also, we release hotel rooms as the departure date approaches and late bookings (within 90 days) might have to stay at different hotels. Please refer to the Cancellation Policy page. Can I read the Terms and Conditions? Yes, you can download T&C here. You don't need a visa if you are a citizen of a country that adheres to the visa waiver program (such as US and Canada). You need a valid passport with expiration date 90 days beyond your entry date. Read this blog on the Visa Waiver Program. There have not been further developments since the blog was published. Am I going to be able to physically do it? You only can answer that question. But is that the right question to ask? The active part is only one component of the vacation. You should be prepared, and motivated to challenge yourself at times. And do not hesitate to contact us. We have enough experience to give you some sound advice. I am a beginner. How do I train for a bike tour? Well, you could download our Get Ready for a Bike Tour Guide (free). Join a riding club or find someone that has more experience that you do and that can coach you. Don't rely solely on spin classes and stationary trainer. And remember, you are about to embark on an awesome life changing adventure! Make it fun! Also, find out here about our electric assist option. Can you help with my travel arrangements? Yes, we can. However, we are not a travel agency, and we can only advise you on the best way to arrive and depart. Please, rely on your travel agent for bookings. Which airport do I need to flight in and out? Airports will be indicated in the tour description with the IATA airport code. We will indicate the best airport option and the one where the tour leader will meet the group. What if participants have different fitness level? We run Plus Tours with relatively small groups. That allows us to accommodate different ability levels by offering optional extra rides and some shortcuts on many days. We also offer Ebikes that level the playing field and that won't make you feel like you must skip a ride because too hilly. Our experienced guides will be able to read the group and adjust. They will emphasize that no one should worry about other people's pace. We all start and end together and there are no medals for the fastest ones! Do I have to read and sign lots of paperwork? Hardly. You will have to electronically sign a risk acknowledgement form. You will have to complete a Participant Details form (online) with your data and preferences. Bikes are included. There is no need to bring your own bike. Please refer to Equipment. What kind of bicycles do you provide? Yes, we do. Please refer to Equipment. I would like to know more details about the rides. Can you provide them? Some basic information about the rides are indicated in the tour summaries. Also, you can talk to a tour manager to get a better understanding of the rides. If you rely heavily on gps data, we can send you a sample file to analyze (the full library of gps tracks will be available with full payment). In the tour description, you will find information about average temperatures and precipitation probability. We rely on https://weatherspark.com/ to analyze data including 10 year averages. What kind of support will we get during the tour? You get full support in many forms. Lost luggage, hotel issues, a trip to the pharmacy. Over the years, we have dealt with many kinds of emergencies and setbacks. Rely on your guides for guidance and problem solving. They are there for you and they are always willing to help. You will have a 24/7 emergency phone number at hand before you leave home. You will also have your guide's contacts. From the moment you are picked up at the airport, you will be in good, experienced hands. What kind of support will we get during the rides? With a typical guide team consisting of one guide on a bike during the day’s route and another sweeping back and forth in the van, you will get full support. The van carries water and electrolytes, food, and spare parts. And spare seats! Guides are mechanically savvy and they can fix a flat and put you back on the road in little time. How much riding will there be in a day? Please refer to the tour page - day by day desciption and refer to the Tour levels. Will my bike fit properly? Your bike will be of the right size for the height you indicated. The guides will fine tune the fitting on the first day. Feel free to add any bike fitting info in the booking form. On most days there will be more than one option. You can add some extra miles or ride only for part of the day. Where will I meet the guides and the rest of the group? You will be greeted by a tour leader at the airport. We will let you know at what time the transfer will happen and the meeting point. Since guests might land on different flights, or make it to the airport from different places, Tourissimo will take into consideration everyone's flight schedule to optimize logistics while minimizing guests' wait time. If you need to be picked up somewhere else, we can arrange that, too (additional cost). We have put together a great guide that you can download here. On Plus Tours we rely on experienced, local guides from both Tourissimo and Ride & Seek. These senior guides are also the tour designers. They know the region like the back of their hand and they have a great network of contacts. Among them, Beppe Salerno (founder), Federica Luppi (senior guide and tour designer), and Andrea Marchesini (senior guide and tour designer). Other tour leaders will join the guiding teams as needed; as the schedule takes shape, we will post the actual guides for each departure. You can expect 60% couples ages 40 to 60 and solo travelers for the remaining 40%. In general, they travel internationally on a yearly basis and they are in love with the idea of cycling in Europe. They like to be engaged and they are curious about the cultural aspects of the places they visit. They are outdoor lovers and they don't count their calories on vacation. They keep fit but they are not in a rush. 65% will be returning guests or referred friends. Gratuities are not included in your trip price. Please tip your guides at your own discretion, based on their level of professionalism, and on the level of service and care that you received. Industry standard is 5-10% of your trip price per guest. Local currency is preferred. Typically, on the last day, guides receive gratuities and a thank you note as a tangible sign of appreciation for their exceptional work.